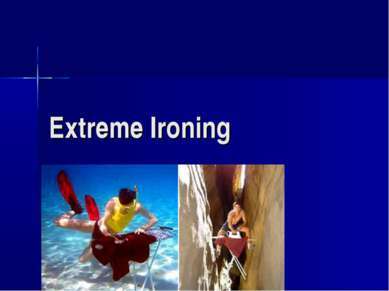 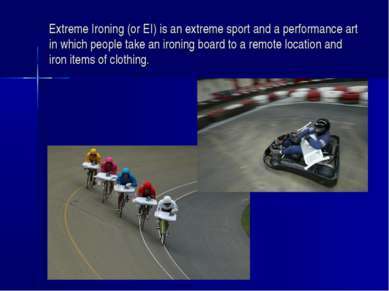 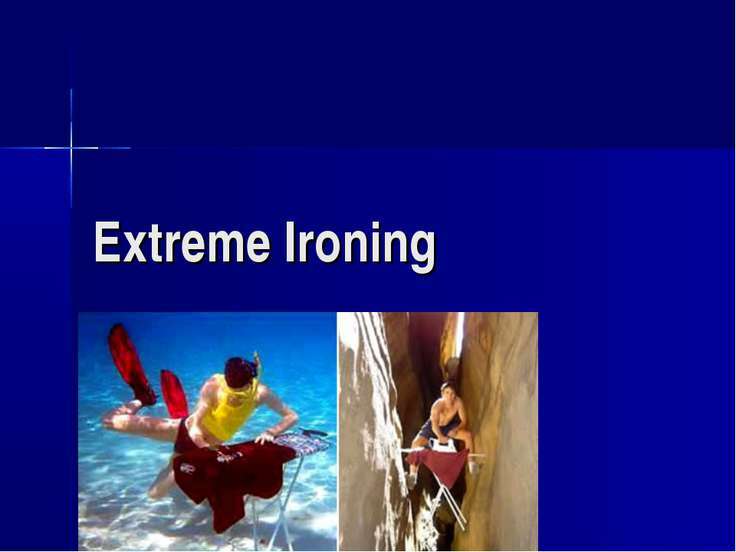 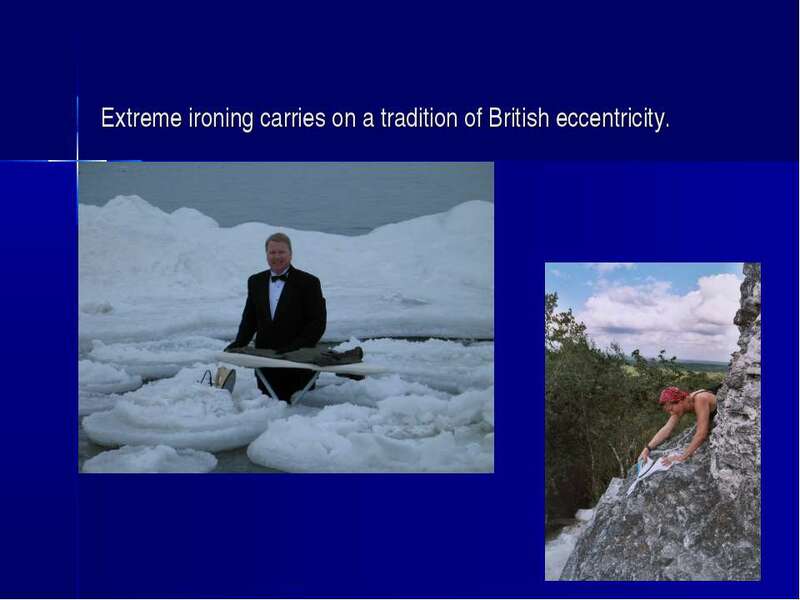 Extreme Ironing (or EI) is an extreme sport and a performance art in which people take an ironing board to a remote location and iron items of clothing. 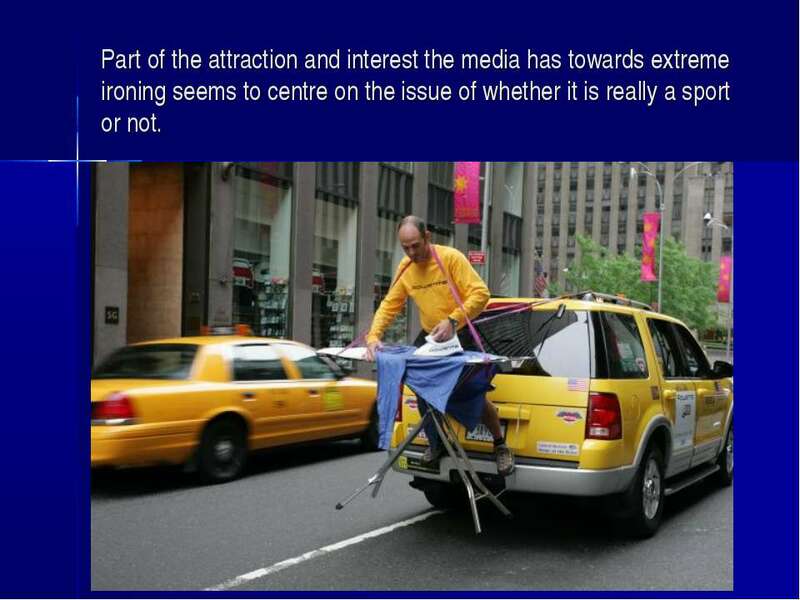 Part of the attraction and interest the media has towards extreme ironing seems to centre on the issue of whether it is really a sport or not. 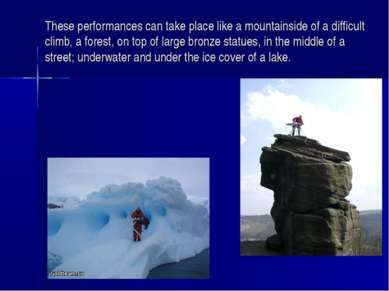 These performances can take place like a mountainside of a difficult climb, a forest, on top of large bronze statues, in the middle of a street; underwater and under the ice cover of a lake. Extreme ironing carries on a tradition of British eccentricity. 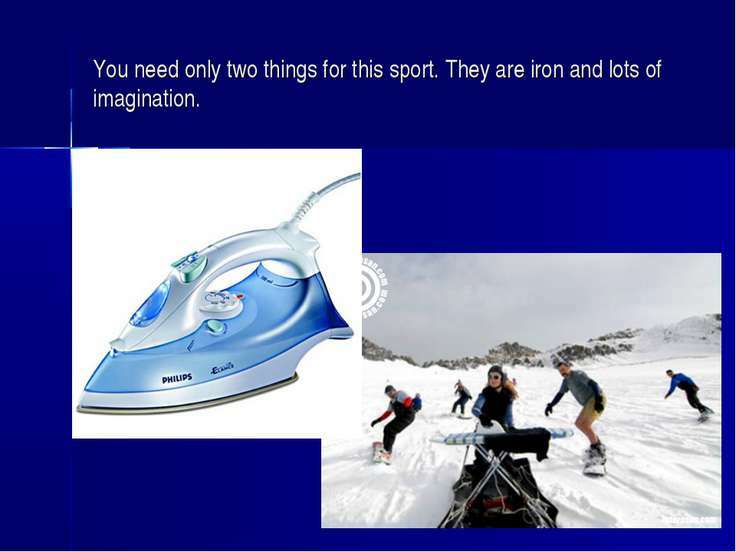 You need only two things for this sport. They are iron and lots of imagination.